A few months back, I decided to start something a little different with this site and in addition to posts on tech and marketing, I decided to add interviews as well. I wanted to interview the shakers of the industry, but first and foremost, I wanted to get the opportunity to interview the people that inspired me to start writing. I can now say, mission accomplished. Some of the awesome folks I have been lucky enough to interview include Robert Scoble (Scobleizer), Ben Parr (Mashable), MG Siegler (TechCrunch), Peter Vesterbacka (Angry Birds), and even my first childhood crush, Alyssa Milano. 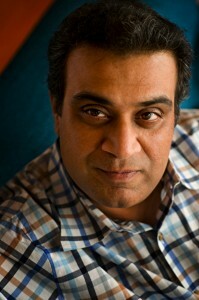 This interview with the Web legend, Om Malik, is to me, the icing on the cake. 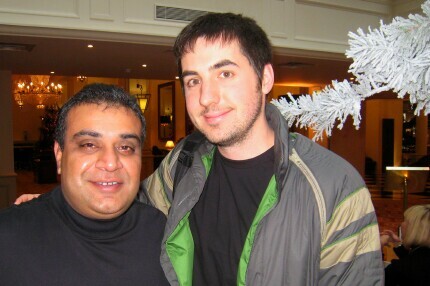 I have been reading Om’s work before I knew what a blog was, and well before I ever thought of starting one. The man is a brilliant journalist and an industry-leading reporter. 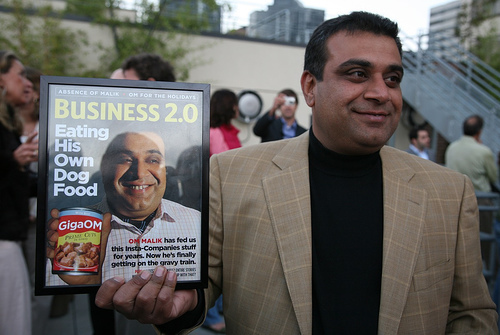 To quote the About Om page, “Om is an award-winning journalist who worked for Quick Nikkei News, Forbes.com, Red Herring and Business 2.0 before founding GigaOmniMedia, the company that publishes a group of blogs including GigaOM, NewTeeVee, Earth2Tech and WebWorkerDaily.” GigaOM, Om’s leading tech blog, which I was fortunate enough to guest post on earlier this year, was named among the top 100 most influential blogs on the Web, by Cnet. To understand just how huge Om Malik is, just take a look at all the stories he has broken in the tech industry, the latest one being the Microsoft Skype acquisition. He is a trusted and very well connected authority in the tech space. 1: I have been following your career closely, but for my readers’ sake, please tell us about yourself and your background, both personal and professional. What led you to where you are today? I have been a journalist/writer for most of my life. 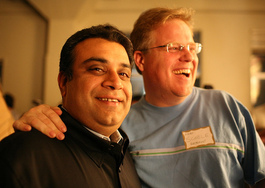 I started blogging over a decade ago and GigaOM, the blog will be ten years old in December 2011. 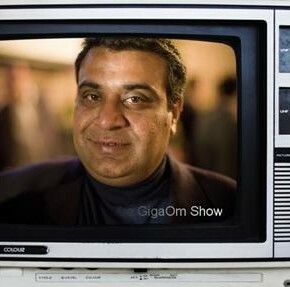 GigaOM, the company, is five years old and it has gone from being a blog to a digital information company with diversified businesses. I love technology and the possibilities. I love writing about people who want to rearrange the world according to their vision. I get to learn from super smart people – every day, every conversation; every story is like going to school. 2: As a blogger who covers the tech space, please share your opinion on Google and Facebook’s dominance in their respective industries. Is there room for anyone to truly compete? OF course there is. Remember in 2002 it seemed that Microsoft was going to rule forever. In 2005, MySpace was the darling of the web. Trust me, tech is one industry where no one can rest on his or her laurels forever. Not even Larry Page or Mark Zuckerberg. There is some crazy kid inventing the future somewhere — and that is why I love our industry. It is always changing. Always. 3: We have all read about how huge the mobile space is. I would like to hear your unique take on the whole iOS vs Android debate. Which do you prefer and what does the future hold for these two mobile giants? I think they are two fundamentally different approaches to the mobile Internet. Apple is going to make a lot of money with their model. I like their model as much as I like Google’s approach. Google is going to be massive in this market, but it doesn’t necessarily mean Apple has to fail. I do believe that there is room for a handful of other players in this market, though it is not clear who could those be. I am an old Blackberry fan, so I am rooting for RIM. 4: Talk to me about Windows Phone 7. Does it stand a chance and how does Nokia, RIM, and Skype fit in? I am working on a piece that will answer your question, but for now I am going to say this — Nokia/Microsoft claim will have a competitive product in the market in 2012. To me, that is more time for Google and Apple to increase their grip on the ecosystem. RIM is a tough one — I still think they could be the third option for carriers, but they clearly need to ensure not to waste anytime. 5: As a leading blogger, what do you think about AOL and their latest shopping spree of online publications such as TechCrunch and The Huffington Post? What do you think the company’s long-term strategy is? I am on the record for saying that spending so much of its cash on HuffPo was a bad idea for AOL. I think buying TechCrunch was absolutely the right play – higher CPMs, multiple revenue streams and highly focused audience. I think it is the right way to grow. As for their long-term strategy, you should ask Tim Armstrong that question. I have not been briefed on it. 6: Google had some pretty aggressive announcements last week at IO 2011, what were the most significant and industry changing. Why? Actually to me it was an evolutionary Google I/O. There wasn’t anything in specific that stood out for me. Android is showing good progress and that was a big part of their Google I.O announcements. It is a sign of the bigger industry change to mobile-centric Internet based computing. Apple and Google are leading the charge on it. 7: What about the location tracking story? Was it overhyped or is it a real problem? Hmm, what was that? I kind of missed that one. 🙂 I think we are going to see more of these issues crop up, mostly because we are seeing the idea of technology, privacy and how we live going through a sea change because of continuous connectivity. These conversations – passionate at times – are part of making sure we are weighing in all the issues. 8 What would you say is the most important piece of advice you would give a blogger who is just getting started? It is the same advice i give to anyone who starts at our company — be yourself, be intellectually honest and be respectful of others – their work, their words and most importantly the attention they accord you. And keep things simple. 9: What are your thoughts on the new Chromebook model of laptop subscriptions and Chrome OS? I think it could be a great low cost options for companies such as airlines and call center operators to use it as a zero-maintenance option for PCs they currently have to buy and support. To me it is what the original network PC was supposed to be and finally Google has delivered it. I am still not convinced by its use case as a consumer device. 10: Do you own a tablet, Which one and why? Yes I do. iPad (original 64 GB/3G version.) I use it to read, watch baseball and Netflix and occasionally work with it. Just a quick thank you to Om for this opportunity. It was a real pleasure and I hope to write more posts for GigaOM in the future. Keep up the good work, can’t wait to see what you do next. Love the interview. Very interesting points on Nokia and Msoft, will be interesting to see what happens. But a comeback in 2012 sounds very plausible.